Figure skating enthusiasts will twirl in delight at this graceful design. Make them a special gift by adding this design to sweatshirts, hats, and home accessories. 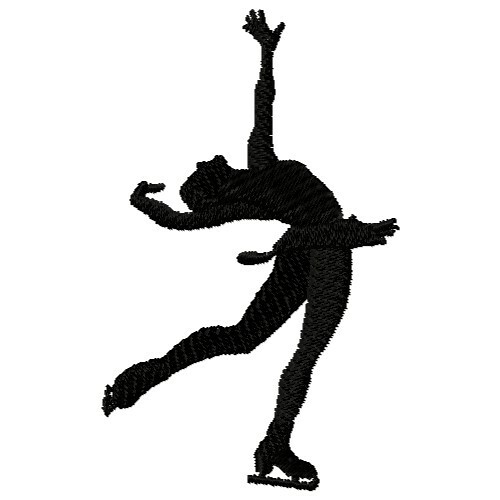 Embroidery Stitches is happy to present Ice Skater Silhouette machine embroidery design which has 3223 stitches and is [46.74 mm x 75.95 mm] large. If you would like to view more embroidery patterns please search on our embroidery designs page.